On July 12, 1561, St. Basil’s Cathedral opened in Moscow, Russia. St. Basil’s has been the symbol of Moscow and all of Russia ever since. Soviet Premier Josef Stalin nearly had this gorgeous symbol of Moscow torn down, so as to better allow huge military parades through Red Square. Luckily, cooler heads prevailed and St. Basil's Cathedral (now a museum) is one of Russia's most popular tourist attractions. Photograph by Anton Zelenov, courtesy Wikimedia. This file is licensed under the Creative Commons Attribution-Share Alike 3.0 Unported license. On July 12, 1561, St. Basil's Cathedral opened in Moscow, Russia. St. Basil’s has been the symbol of Moscow and all of Russia ever since. 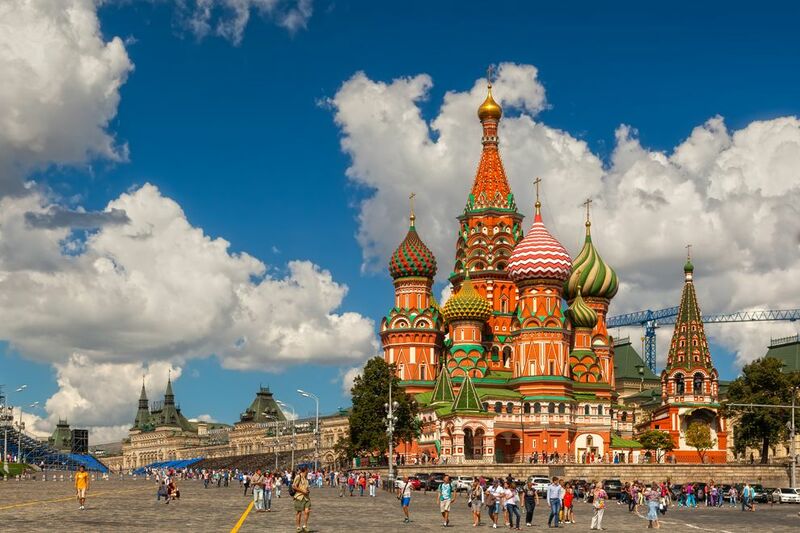 Today, St. Basil’s Cathedral is part of Moscow’s famous Red Square. Red Square was named after the Russian word for “beautiful,” not the color of its bricks. Red Square is a UNESCO World Heritage Site that also includes the State Historical Museum and the Kremlin, where Russian leaders have ruled for more than 1,000 years. to happily astonish or impress. (Moscow, Russia) historic building complex that houses the offices of the Russian government. shape of a half-sphere with a thin, pointed top. (1561) Russian Orthodox church, now a museum, in Moscow, Russia. something used to represent something else. the United Nations Educational, Scientific, and Cultural Organization.